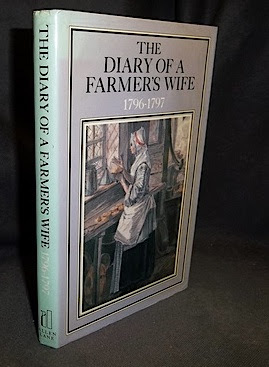 Frequently to be found in the biography/memoirs sections of second hand bookshops and a common item online, this brief ‘ diary’ covers just one year (1796/7) and on the surface does appear to offer valuable insights into the life of a middle-class Georgian farmer’s wife, though she is no Woodforde, Cullwick , or Ann Lister. But all students of social history should beware. The original diary has never been found and Anne Hughes hasn’t been traced, which raises doubts about the book’s authenticity. The journal was serialised in the Farmer’s Weekly in 1937, with a provenance turning on whether the contributor, one Jeanne Preston, an amateur local historian and playwright, was telling the truth when she maintained that the manuscript was given to her by the family nurse. Twenty seven years later the Journal appeared in book form, edited by one Suzanne Beedell, whose books include such classics as Restoring Junk, Brasses and Brass Rubbing and Menopause: questions and answers. Most people of sense believe that the lack of both a original source and a traceable author make the book worthless as a historical document. But fans of Mrs Hughes seem unabashed. So devoutly do they believe in the writer and her diary that they have created a website as a tribute, though their plea for further information about author and diary has a slight air of desperation. So, for the sake of scholarship, can I suggest to National Trust speakers that they bin the testimony of Mrs Hughes and find other recipes for salmagundi, syllabub and frumenty. 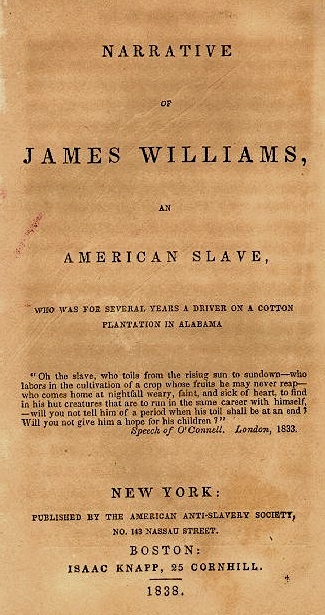 When this memoir of a slave’s humbling experiences as a ‘ driver ‘on a cotton plantation in Alabama appeared it was accepted at its face value by most readers. The fact that the respected poet and Quaker John Greenleaf Whittier was involved as a sort of editor/consultant doubtless ensured that its probity would never be questioned. However, within two months of its publication doubts were raised by one newspaper editor as to the factual accuracy of its account of life in Alabama, and these questions never really went away. 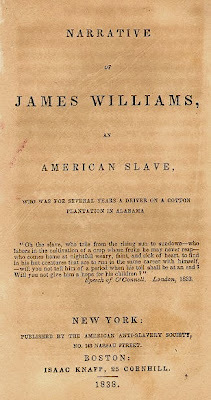 Today, experts in slave trade history regard Williams’ memoirs as a piece of propaganda and one Shadrach Wilkins has been fingered as the author. The text was revised for a second edition, which proved a minor best-seller and is to be found very cheaply. From this unpromising start Pearson was to go on to become one of the most prolific biographers of the twentieth century, easily beating the late Humphrey ‘one book a year‘ Carpenter. Actually, totally written by Ben Reitman. ‘ Boxcar’ Bertha Thompson was a fictional creation of this left-wing, sometime hobo, whorehouse physician and champion of birth control, who duped readers into believing that he was the ghost writer to whom Ms Thompson, a lady hobo , had confided her personal experiences. In fact Sisters of the Road was based on the testimonies of many different female hobos interviewed by Reitman over a period of time. The film Boxcar Bertha (1972), the second feature by Martin Scorsese, bears little resemblance to the text of 1937. Interesting piece as always - how about adding Opal Whiteley to the list? Add the anonymous 1932 account of amnesia 'I Lost My Memory. The Case as the Patient Saw It' to this list. "the very recent fake book (plagiarism) Quentin Rowan's debut thriller 'Assassin of Secrets' seems to have some value already"
Only the Brit edition. Got my copy now I have to get QR to sign it. a very ‘happening’ blog! I shall keep reading!